In a remarkable judgment dealing with interim custody of child suffering in parent’s matrimonial disputes, visitation rights and guardianship, a 2 judge bench of Supreme Court laid down various propositions of law while awarding the interim custody till final disposal by the trial court to the mother. The bench speaking through Justice Vikramjit Sen, lays down very sharp observations and examines various definitions of a ‘guardian’, ‘visitation rights’ and tests the issue from the angle of provisions of Hindu Minority & Guardianship Act, 1956 and Guardian & Wards Act, 1890. 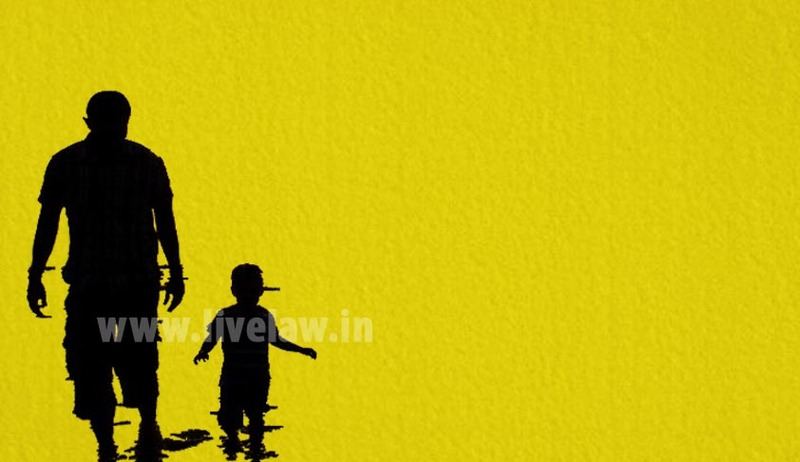 The brief facts of the case as laid down by Justice Sen and Justice C. Nagappan can be put in a nutshell as that custody of the child (below 5 years of age) was demanded both by the father and the mother. The lower court awarded interim custody to the mother with visitation rights to the father. On appeal, the Bombay High Court, Goa awarded the interim custody to the father. The father however shifted to Bombay without intimating to the mother who had to file a criminal writ petition in Bombay High Court which simply disposed it off awaiting the petition on Goa trial court. Subsequently, the SC was approached by the petitioner mother. Three separate definitions of ‘Guardianship’, ‘Custody’ and ‘Visitation’ have been examined in para 5 from Black’s Law Dictionary. Visitation rights have been ascribed the meaning “In a dissolution or custody suit, permission granted to a parent to visit children. In domestic relations matters, the right of one parent to visit children of the marriage under order of the court.”. In Para 9, though the mother is a Christian by religion, applicability of HMG Act has been relaxed contrary to the law mentioning that it was not disputed. (Author’s remarks - Whether non dispute of applicability of a statute book by the party in whose favour it speaks renders the application immaterial , has been answered in a plethora of judgments in negative). The custody of a minor shall ordinarily be with the mother. However the use of word ordinarily cannot be overstretched. Frequent visitation does not mean continuous visitation. Whether having permanent residence in India or not is not so important a factor. The focal point for consideration in such cases is welfare of the child. Considering that global relocation is a well known legal concept now, the entitlement as to custody by the left behind spouse has to be jurally investigated. Forum Shopping or Court Shopping by parties to litigation must be firmly dealt with. Also, co-ordinate benches of High Courts must respect prior orders. The parent who does not have interim custody should be allowed to visit the child without removing him/her from the custody of the other parent. Spending more time than is allowed amounts to temporary transfer of custody which is impermissible.